These wide-ranging essays - on many individual political, economic, cultural, and legal issues - have as a recurring, underlying theme the decline of the values and institutions that have sustained and advanced American society for more than two centuries. This decline has been more than erosion. It has, in many cases, been a deliberate dismantling of American values and institutions by people convinced that their superior wisdom and virtue must override both the traditions of the country and the will of the people. 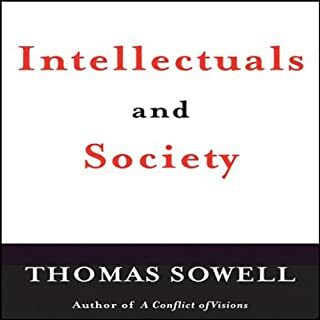 In this book, which the author calls a "culmination of 30 years of work in the history of ideas," Sowell attempts to explain the ideological difference between liberals and conservatives as a disagreement over the moral potential inherent in nature. Those who see that potential as limited prefer to constrain governmental authority, he argues. They feel that reform is difficult and often dangerous, and put their faith in family, custom, law, and traditional institutions. Conversely, those who have faith in human nature prefer to remove institutional and traditional constraints. Controversies over such diverse issues as criminal justice, income distribution, or war and peace repeatedly show an ideological divide along the lines of these two conflicting visions. CHANGING America is what the 2008 election is all about. Understanding the Conflict of Visions between Conservatives and Liberal/Progressives is critical to understanding the profound differences in how much and how exactly Progressives would like to change America. 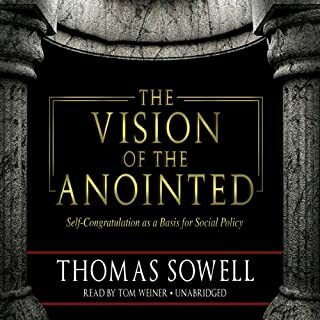 Thomas Sowell brings his deep expertise in philosophy, economics and history to elucidate the very real differences in what Conservatives believe and want for America versus the enlightened changes Progressives have in mind for most of us. Do you believe in the vision of the Founding Fathers for America? Do you want to put the government in control of legislating "equality" for all Americans? What is equality? Who gets to decide what is "best" for all of us? Who will win power in America? Who will lose power in America? Do you focus on identifying and enhancing what has worked well for mankind over time? Do you believe it's possible to craft a social engineering solution to every problem faced by mankind? I've struggled for years trying to understand the definitions of liberal and conservative in America today. In A Conflict of Visions, at last I have a comprehensive theoretical foundation upon which I can evaluate my own types of expertise and knowledge at this critical time in our nation's history. I finally understand why some of my best friends and I "talk past each other" on important issues, neither side understanding how the other side thinks--and why. 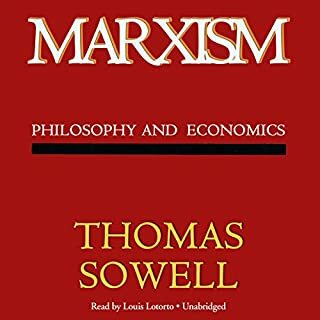 Without a formal background in philosophy, history, and economics, comprehending this Audible book was a challenge that required my complete and undivided concentration. I've since ordered several print copies to share with friends and relatives. I am encouraging everyone I can to take the time to read this important book. I've been searching so long for these ideas. 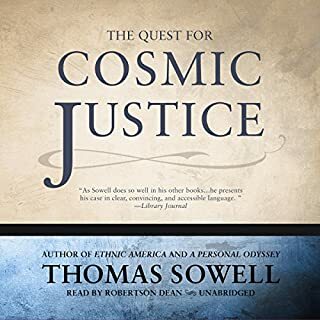 Thomas Sowell has earned my deep admiration and profound gratitude for this work. I loved this book. This is for the serious philosopher only. It is very well thought out but not for the feint of heart. Whether you are a conservative or liberal it is worth looking at the assumptions behind your political leanings. This is a well explained treatise on why people at opposite ends of the political spectrum think the opposite side is crazy. It turns we do not mean the same things by the same words. Not the kind of thing one would recommend to the type of person who follows Paris Hilton’s every move. This book is to political / philosophical thinking what Steven’s Hawking’s A Brief History of Time is to physics. Excellent book. This was my first Sowell book and I will definitely be reading more of his works. Unique, objective way to look at the fundamental differences between core visions that helps explain the polarization of political and social philosophies throughout the ages. I think this book will be as relevant a hundred years from now as it is today. This book should be required reading for anyone to be able to vote. Only problem with the audio version might be that it made me think so much as I was listening that I frequently lost focus on listening and was constantly rewinding. Made it through the audio version and am now reading a hard copy to see what I missed. Would you consider the audio edition of A Conflict of Visions to be better than the print version? It really does help in making sense of conflicting political ideologies. The most important thing I would say to anyone who reads this book is not to be put off by the terminology. 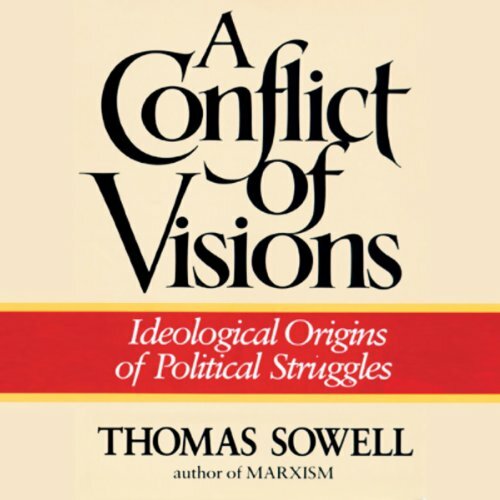 Sowell is brilliant, and he has, I believe, discovered and articulated the key attribute, what he calls the conflicting "visions," distinguishing two ideological camps, labeled (inappropriately in my opinion) as the "constrained" and the "unconstrained." The conflicting "visions" are not merely a set of opinions or points of view. The weakness and vagueness of that label, as well, are misleading and unfortunate. Sowell's "vision" is like a lens, through which a person with one vision or the other sees some things but is essentially blind to others. The "unconstrained" are not constrained by the market, human nature, the words in the Constitution, or reality. Instead, the best and the brightest among them, being uniquely smart enough to imagine a better world, decide for the rest of us how we must behave in order to achieve that better world. They are the "surrogate decision-makers," as Sowell likes to call them, the Platonic philosopher kings known in the real world as dictators, tyrants, arrogant bureaucrats and activist judges. The result is a libertarian's nightmare, and this is where the terminology seems inappropriate. The most visible attribute of the "unconstrained" is their obsession with a pernicious form of equality, strained to the point where those who achieve less must be made equal by means of transfers of wealth funding subsidies. The unconstrained reject the notion that such transfers, even when voluntary, constitute charity, believing instead that the beneficiaries are entitled, by notions of "social justice," to receive whatever it takes, from anyone possessing it, to make them equal. So it is important to keep in mind that Sowell's constrained/unconstrained dichotomy refers to political leaders and the architects of a society and not to its inhabitants. Sowell takes great pains to be even-handed, avoiding advocacy of one vision or the other, and to explain that his labels do not fit well with known political persuasions. It should be clear that I am firmly in the "constrained" camp, so I am not similarly hobbled by the duty to be neutral. I believe, for example, that libertarians, true libertarians anyway, belong just as firmly in the "constrained" camp, although Sowell's pains include an effort to show that both visions are represented among libertarians. I would also say that the current (since 2008) political powers in the United States, both presidential and (at least until the 2010 mid-term elections) legislative are firmly in the "unconstrained" camp. Sowell is, of course, correct (in writing long before 2008) in pointing out the lack of ideological purity (or purity of "vision") in the political movements of our time. But in doing that, he actually weakens the very point he is making so well -- that his concept of those two conflicting visions goes far in explaining why people of differing political persuasions just don't seem to see the same things. Labeling aside, Sowell's point is well worth the effort to understand and to apply it to the real world. This book is well worth reading. I thoroughly enjoyed this book but dear God the language was dense. It is no light read and I am sure to revisit it. After reading this, you can see it and almost every conversation you have from that point on. a great think piece. 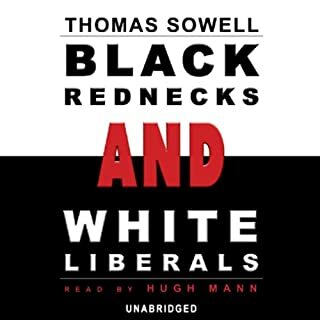 By his elucidation of the constrained and unconstrained view, Thomas Sowell brings insightful clarity as to how these two views are irreconcilably in conflict in our culture, in our political life, in education and in the media. 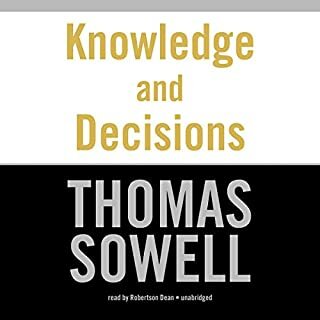 This is my first book by Thomas Sowell, and I enjoyed it so much that I look forward to acquiring other works by him. Michael Edwards gave a tremendous performance. This book helps clarify how a person's beliefs stand in relation to famous thinkers. It facilitates better understanding of those who think differently so you can communicate effectively with them. A very good book but narrator's monotone made it really hard to enjoy, I would hope it has more liveliness. Sowell provides one of the best explanations for why people are divided into left and right.